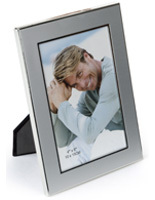 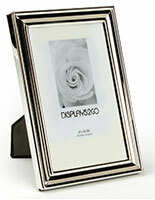 This silver plated picture frame has a glass lens on the front to guard the prints from getting damaged. 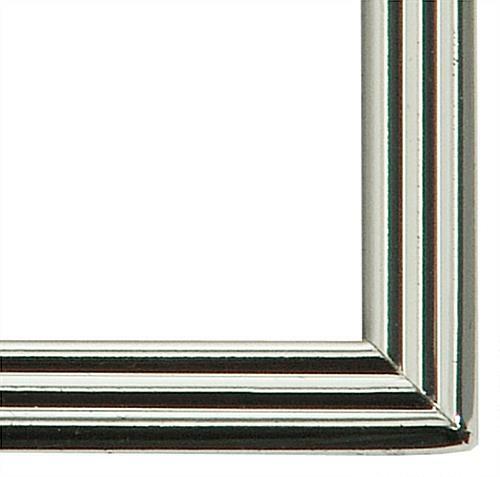 The handsome metal framing is finished to a shiny polish! 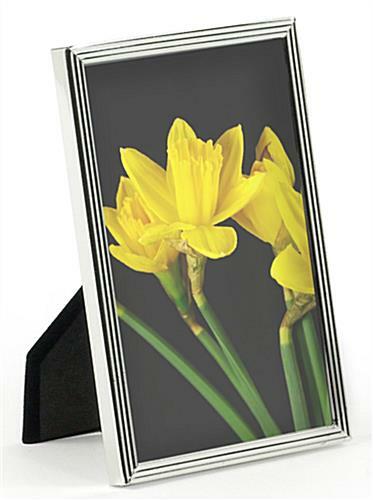 The silver plated picture frame supports 4" x 6" prints that insert easily in from the back in front of the black velvet backer. 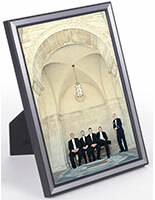 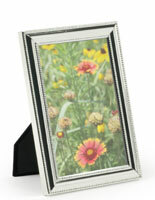 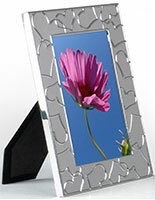 The easel stand allows the frame to be displayed in either landscape or portrait format. 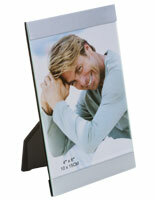 Tabletop use only. 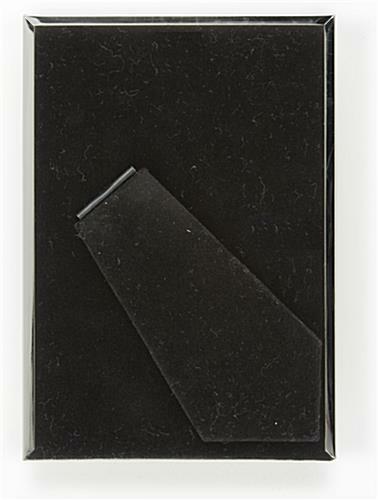 4.3" x 6.3" x 0.375"